In this day and age to get a genuinely nice person on the other end of the phone with any company is a rarity. To get a professional water quality and plumbing expert to come to the house within a day or two and provide a detailed expert opinion about your situation is beyond rare. You will get both with Al and his two companies; Pro Plumbing Castle Rock and Pure Water Choices Castle Rock. Be prepared to be impressed! Al appears to be a honest guy with honest prices. I see no high pressure sales or twisting of truth. He is also a master plumber so he is unlikely to mess up your plumbing. His units are open market parts which makes them easy for anyone to work on so no vendor lock in. He is also patient with questions and tries to be helpful. I would recommend contacting pure water choices to talk about your water filtering or softening needs. 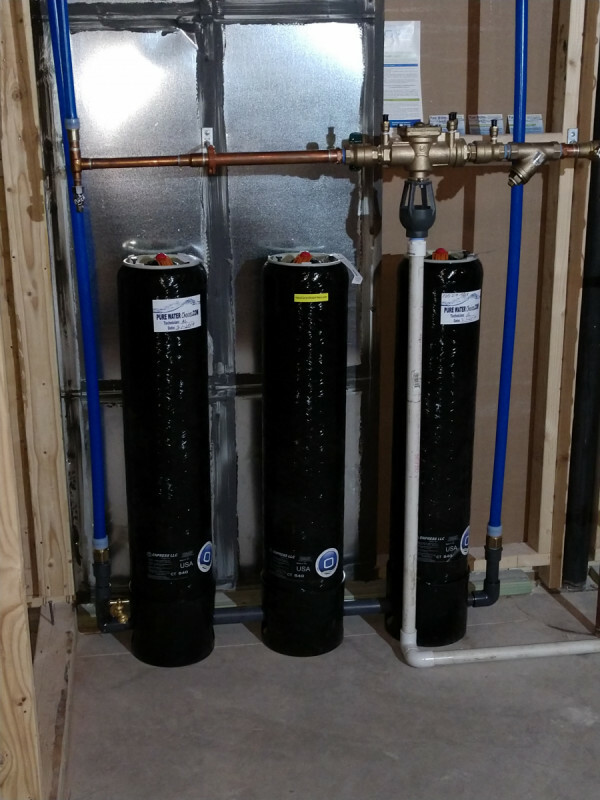 Three Enpress ONE canisters with a 5 micron sediment filter, a 3 micron chloramine carbon block filter and a Nano-Al Ultra filter to produce super safe and clean water. My experience with Al and PureWater Choices was nothing short of outstanding. As a water industry consultant, I know enough to be dangerous about water quality but Al's knowledge on the topic was incredible and helped guide me and my family on our whole house filtration system. The service was phenomenal and I have much greater peace of mind knowing I have an excellent, clean water supply throughout my home. It's hard to find this level of quality in end-to-end services these days; I really appreciate the product and work! Al and his team have been the best Plumbing Company we have ever worked with. They are pleasant and knowledgeable. We trust them 100%.